Robotic technologies hold the potential to transform developed markets and to create new ones. It enhances productivity and at the same time increases the quality of both products and human life. As a pioneer in Personal Robotics, F&P Robotics AG works to achieve this vision. F&P aims to establish as a leading provider of light weight robots. F&P focuses on the reduction of the complexity in automation. It should be as easy as possible to program and to steer a P-Rob, so that the P-Rob can be used for many new applications in collaborative robotics and service robotics . The “P” in P-Rob stands for “personal”, this refers to the easy and intuitive handling with the P-Rob, the intrinsic security concept and to the design of the P-Rob. The team of F&P requires an interdisciplinary and creative team of international young talents from high-tech and robotics. 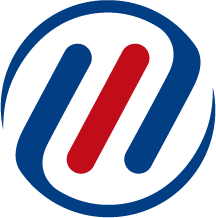 Since 1996 develops and produces robots, back then called”Neuronics Früh & Partner”. 1999 the corporation moved to the Technopark in Zurich and grew continuously. The founder and manager Dr. Hansruedi Früh is a pioneer in collaborative robotics. As a spin off of the University of Zurich (Artificial Intelligence Lab) Neuronics Früh & Partner produced compact 5-axis robot arms. In 2003 the coproration was ticketed with the CTI startup label of the Swiss Comission of Technology and Innovation (KTI). An annual growth of 40% resulted in more than 200 customers in industry, in labs an service robotics, and in research and development. 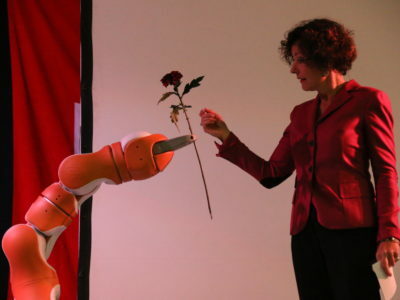 2011 the corporation started to develop a new family of robots, called P-Rob®. The “P” in P-Rob stands for “personal”. Developing P-Rob, F&P focused on easy and intuitive handling and an intuitive security concept. Important improvements in hardware were for example a higher payload, more degrees of freedom and a better performance. At the same time the new software concept myP® was developed. It combines a realtime-webserver with a user-friendly graphical user interface, which is independent of the operating system or the tool. The ability to learn an to react situation-specific allows P-Rob to be proactive. In January 2014 the new corporation F&P Robotics AG was founded. The corporation is headquartered in Glattbrugg ZH, next to the Airport Zurich. Patents and new designs for the robotfamily P-Rob® were submitted and in June 2014 the official launch at the Automatica in Munich and the ICRA Robot Conference in Hong Kong took place. Since then P-Rob 1R and P-Rob 1U are delivered to customers all over the world. 2015 the next generation of the P-Rob was developed. In December 2015 P-Rob® 2 was officially launched. Not only the design was completely revised, but also aspects of robustness, stability and security were complemented. At the same time the software was developed. 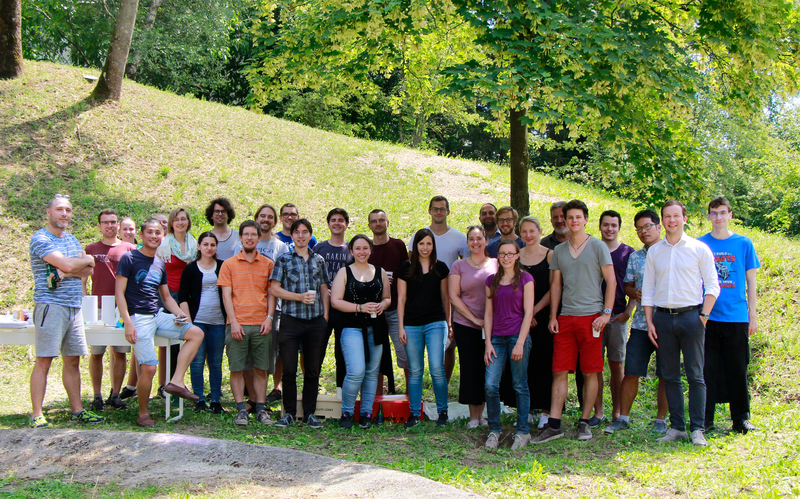 The software-concept myP® 1.2 was improved and complemented with several aspects. In 2016, P-Rob was mounted on mobile platforms, opening up new possibilities. F&P caused a big stir with the SRF report in 10vor10 about the Swiss Export Forum, where P-Rob was shown performing a coffee demo. In the same year, P-Rob was used for the first time on linear axes for packaging Natürli-yoghurts in the Zurich Oberland. In the following year 2017, F&P began to develop new market segments in the healthcare sector. The first projects in the field of mechanical impulse generation were carried out with Tagesklinik Glarus. In the same year, a major project was launched in China: the humanoid robot assistant “P-Care” for stationary operations in hospitals, nursing- or retirement homes. In October 2017, F&P presented the product “Lio”, a robot assistant for service and support. 2017 was also a very innovative year for F&P from the technical point of view. For example, with a multitude of ROS innovations. This makes P-Rob particularly suitable for research and educational institutions with the support of ROS, gazebo simulator and special modules for fast communication at controller level. In several Media, Articles about F&P were published. Several materials can be downloaded on this page. 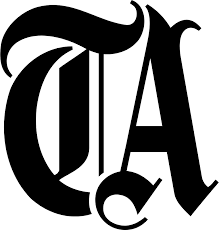 The Newspaper “Tagesanzeiger” is one of the most famous ones in Switzerland. 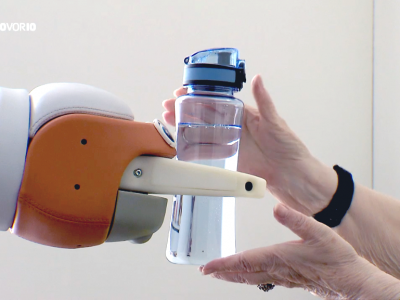 They published an article about Lio and its use in nursing homes. F&P was celebrating the Five Year Anniversary. In the regional Newspaper “Zürcher Unterländer” an Article about the Celebration was published. 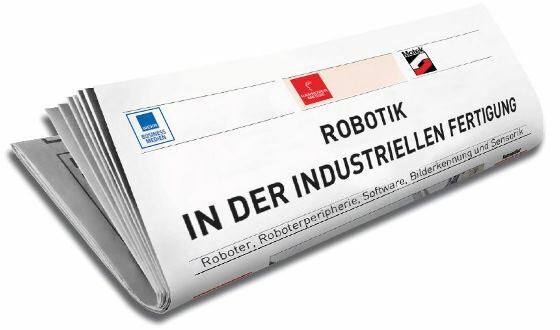 In the german magazine “Robotik und Produktion” an article about Lio was published. The author, Mr. Fritz, met us at Automatica exhibition and decided to write an article on Lio. Lio was presented to a wide range of audience from the healthcare sector in Constance. In the regional newspaper “Südkurier” a report about our performance in Constance was published. F&P for the first time presented the new Robot for Healthcare-applications at REHACARE, the german exhibition for rehabilitation. An article on F&Ps new Product was published on Pressebox. On the platform “Pressebox” an article about F&P’s presence at Hannovermesse was published. The swiss newspaper “südostschweiz” reports about one of the newest customer-projects of F&P where P-Rob is used for a therapeutic impulse generation procedure. The german magazine “lernen & lehren” published an edition concerning Robotics. The article about collaborative robotics broadly refers to P-Rob. Switzerland Global Enterprise published an article concerning the successful establishment of F&P on the German market. F&P Participated in the “Design Night” organized by Autodesk. Wer beim Grillieren vor lauter Bier jeweils vergisst, die Würste zu wenden, der kann die Arbeit vielleicht dereinst einem Roboter überlassen. Allerdings hätte das seinen Preis. Der Roboter, der Würstchen brät: Vier Studenten der ZHAW haben als Bachelorarbeit einen Roboter entwickelt, der Würste braten kann. Dass dieser bald menschliche Grillmeister ersetzen wird, ist aber unwahrscheinlich. P wie personlich – Der kollaborative Leichtbauroboter P-Rob 2 ist sowohl für Anwendungen im Industrie- als auch im persönlichen Service-Bereich konzipiert. 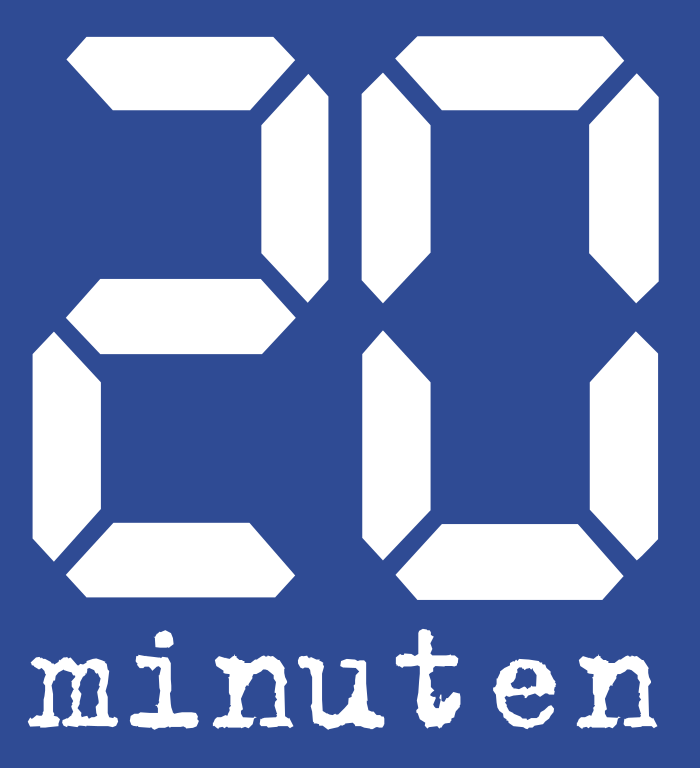 The SRF news show 10vor10 broadcast a report about the use of Lio in care centres. Switzerland Global Enterprise (S-GE) helps customers enter new markets and establish a presence abroad. F&P Robotics has been selected as Member of the Month for October. Proudly powered by WordPress | Theme: fprobot by taywa.